TTo cement trade ties, boost investment flows and encourage tourism between South Africa and China, Standard Bank and the Industrial Commercial Bank of China (ICBC) have launched the I Go South Africa loyalty programme in partnership with South African Tourism. This initiative, part of ICBC’s I Go Global rewards scheme for its card holders in China, was unveiled in Johannesburg on 15 November 2017. It will capitalise on the growing appetite among Chinese travellers to visit South Africa by offering a range of discounts and special offers from South African merchants across the travel, hospitality and lifestyle sectors, says Standard Bank’s group head of card and emerging payments across Africa in personal and business banking, Lincoln Mali. “ICBC is the biggest bank in the world, with approximately 139 million credit cards and as many debit card customers,” says Mali, explaining the rationale behind the new loyalty programme, which was designed by Standard Bank in partnership with the Chinese financial institution. The General Manager of the ICBC bank card department, Wang Dufu, said that to further ICBC's internationalisation strategy, they are constantly increasing and extending their primary product line abroad. "The I Go South Africa campaign has advantages for both China and South Africa, as ICBC credit card holders can enjoy convenient, comfortable and cost-effective shopping, travel and leisure experiences. At the same time, the I Go China campaign will entice Standard Bank card holders to enjoy the wonderful tourism and shopping experiences China has to offer." Mr Wang said that both campaigns will increase the partnerships and economic co-operation that exist between China and South Africa, improving country, people and cultural relations, "first connecting as friends and then becoming family". Saying that tourism holds immense potential for growing the country’s economy inclusively, Minister Xasa noted that the benefits and new avenues opened up by tourism are far-reaching and vast. She hailed the I Go South Africa private-public partnership and said that “tourism growth from China will help us in our ongoing drive to create new, sustainable jobs in the tourism value chain”. 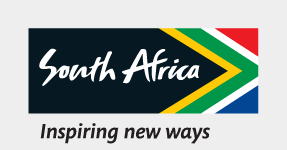 I Go South Africa offers a number of benefits specifically for ICBC cardholders travelling to South Africa for leisure. These include up to 21% “cash back” on certain transactions; free Wi-Fi; Card protection insurance; accommodation deals with a premium hotel and restaurant group; and discounted return flights from Hong Kong to South Africa, among many other incentives.